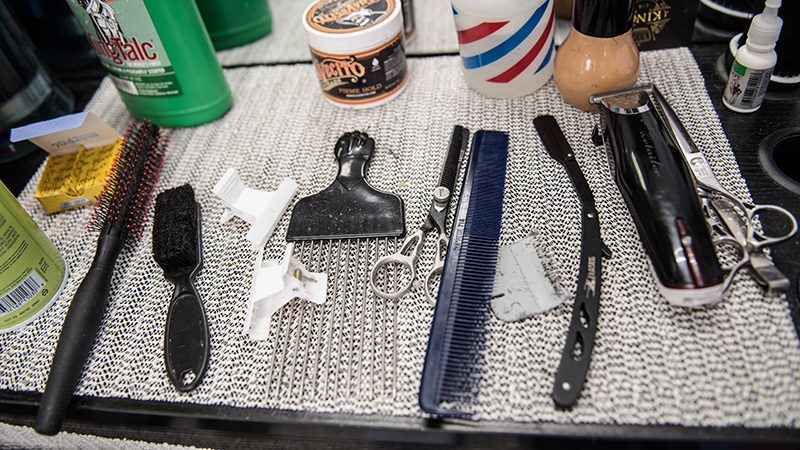 King’s Barber Shop strives to be a cut above the rest. 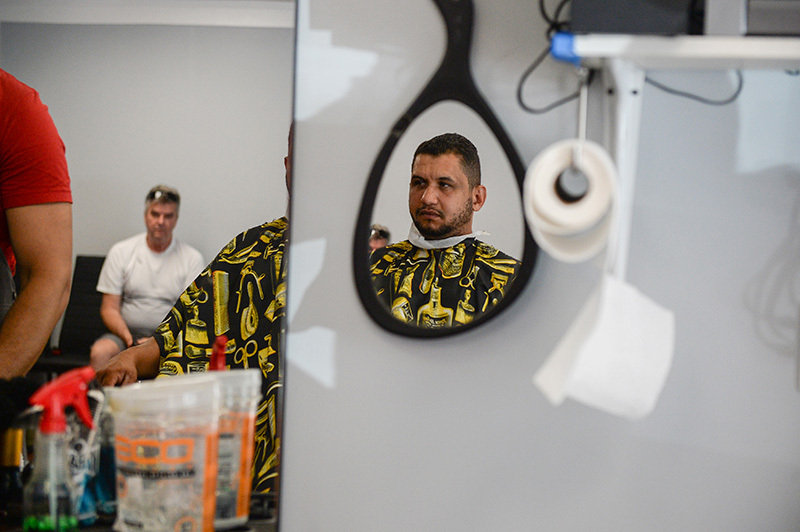 On Thursday, July 26, King’s Barber Shop opened its doors — and subsequently had a tough time closing them — after two barbers from Native Cuts barber shop (a longtime Island staple that recently closed) decided to pick up the crown. 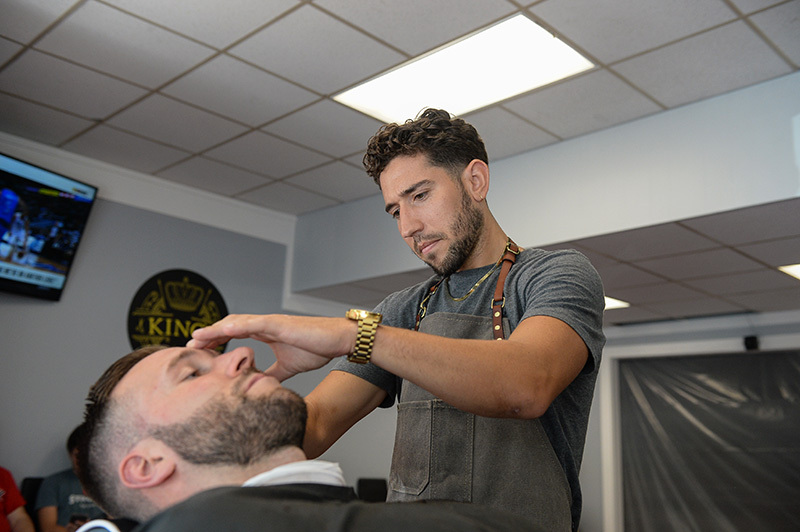 Lamar Moreis and Alexandre Marins, the sole proprietors of King’s and currently the only scissors in the shop, decided to utilize the advantageous location of the original Native Cuts building. They also took on the many shaggy customers previously loyal to Native Cuts who waited for weeks, and in some cases months, to get a trim or line-up from their favorite barbers. Marins said they are currently looking for more help in order to meet the huge demand and keep customers satisfied. “We want to make the customers happy, but it’s a lot for us, because we are only two people,” he said. The barbers said they want to find someone who can be professional and give a quality haircut, but who can also converse with customers and make them feel comfortable and welcomed. 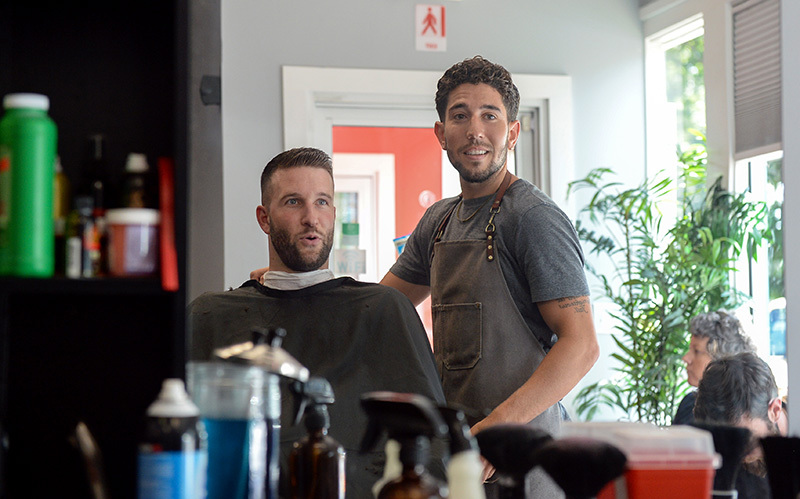 When The Times asked what makes their barbershop stand out from others in town and on-Island, they said it’s the overall experience, combined with the tried-and-true quality of two local barbers who have a passion for making people look their best. 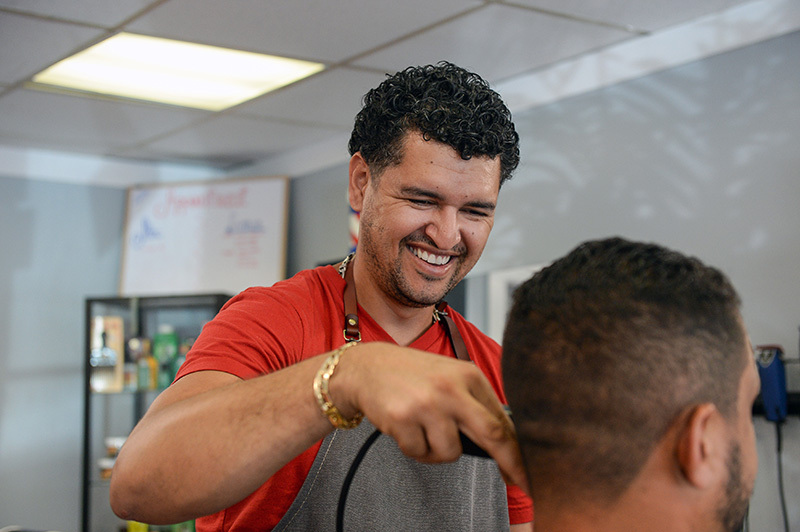 “I love giving people haircuts, you get to meet so many different people,” Marins said. Moreis said he enjoys seeing the final product after he is finished with a customer. Marins has been a barber for nine years, and Moreis for five. The two hope to expand their business and establish it as a local haunt, just as Native Cuts was for many Islanders. Currently, King’s is still a work in progress. Moreis and Marins are trying to run the business and keep customers happy, while simultaneously searching for employees and building up the shop. With time, the two hope to find good help and make their vision a reality. They are currently waiting on a brand new King’s Barber Shop sign to hang out front to attract customers, which they said should arrive in a couple of weeks. Their ambitions include opening up new locations in different towns and serving Islanders on a larger scale. Marins and Moreis gave a shout-out to their loyal customers for their support during the tough transition from Native Cuts to King’s, and for their ongoing patience. “We just want to make everyone happy,” Marins said. King’s is open from 10 am to 6 pm, Monday through Saturday, at the old Native Cuts location on 395 State Rd., Vineyard Haven. 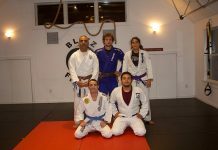 Call to make an appointment, 508-338-7853.